Counting Crows fans are in for a double dose of live action from their favourite band during April - on stage and on disc. The San Francisco rockers begin their first UK tour in four years at Birmingham's O2 Academy on Friday April 19. They will later play Bristol, London, Manchester and Glasgow. To whet the appetite a live album, Echoes Of The Outlaw Roadshow, recorded on last year's North American, is released on April 8. Past UK tours have seen Counting Crows play the country's arenas but this time, perhaps mindful that they've been away for so long, they've opted for smaller venues. ''Personally, I'm just glad we're going back,'' Adam admits. ''I have a lot of great memories of past tours. Remembering where we've been always gets me excited about where we're going." Joining vocalist Adam on stage will be guitarists David Bryson, Dan Vickrey and David Immergluck, bassist Millard Powers, keyboardist Charlie Gillingham and drummer Jim Bogios, the same line-up that recorded the live album. The record includes versions of hits like Round Here and Rain King but there's no guarantee that the set list will be the same on the forthcoming tour. The band claim no two shows are alike, with Adam Duritz constantly rewriting songs and changing the running order. He says he felt it was important to record last year's US shows. 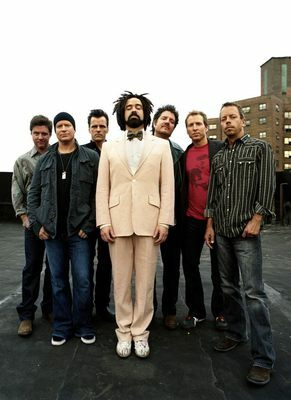 Formed in 1991, Counting Crows had a huge worldwide hit with their debut album, August and Everything After, in 1993. They have since enjoyed another four top 20 studio albums in the UK and were nominated for a Grammy Award for their US chart topper, Accidentally In Love, which featured on the soundtrack to the movie, Shrek 2. 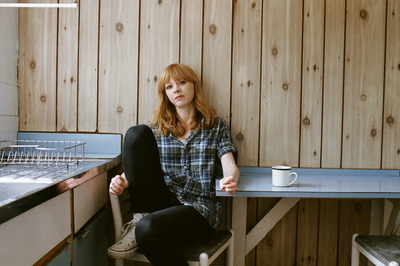 Support on the Counting Crows tour comes from Midland singer songwriter Lucy Rose. The 23-year-old grew up in Rowington, Warwickshire, and recorded her recently released debut album, Like I Used To, in the family home. She follows the Counting Crows tour with her own headline dates which conclude at Birmingham Institute on May 27. Love your article, I'm looking forward to their Australian tour. I had no idea Lucy Rose was supporting! She's brilliant.